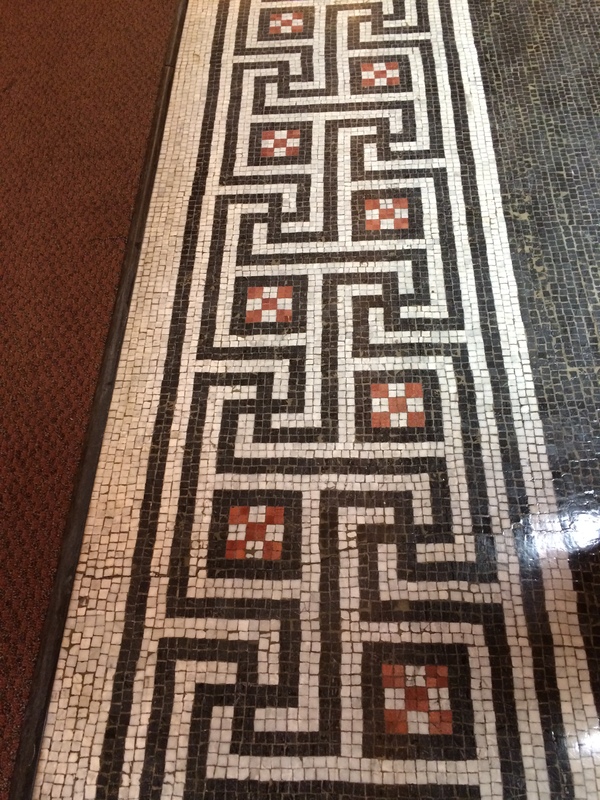 Auditorium Building has been a cornerstone of Chicago’s arts and cultural community since its grand opening in 1889. This National Historic Landmark was first mixed-use building ever built and the tallest in Chicago when it opened. The architects of the building: Dankmar Adler, Louis Sullivan, and Frank Lloyd Wright as draftsman. More than 125 years later, its gilded inner spaces still sparkle for events of all kinds. For this historical building we have done several projects. 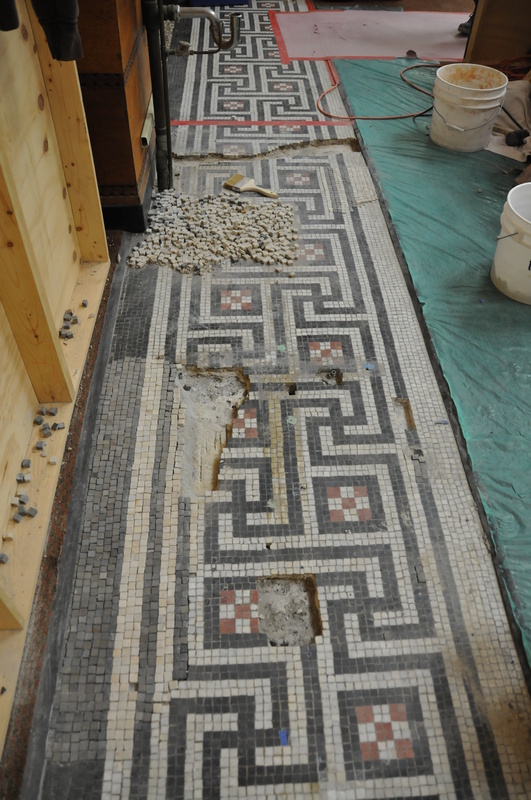 The marble mosaic tile that composed the border around the 10th floor reading library was in need of select repairs. 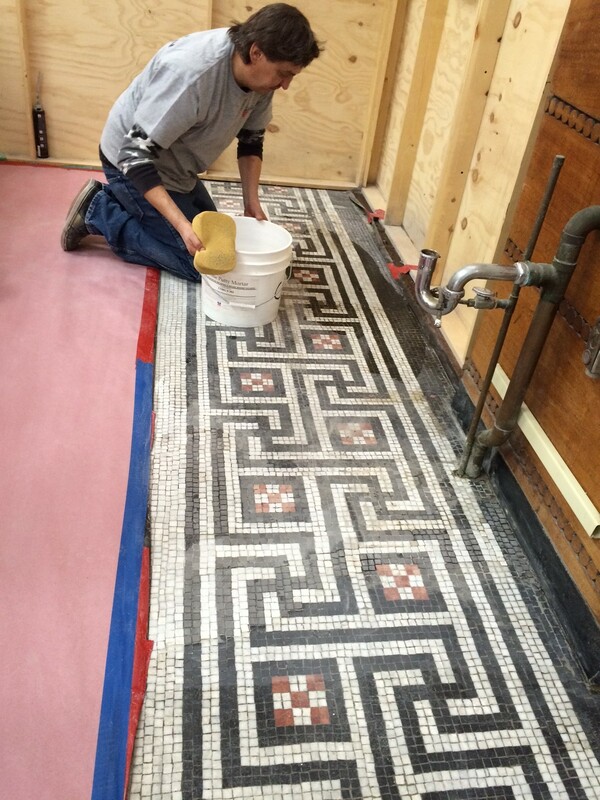 All mosaic for the project were selected from hand-chiseled stock. We cleaned the marble surface using the gentlest means possible, such as a mixture of acetone, hot water, and detergent applied with a soft sponge. 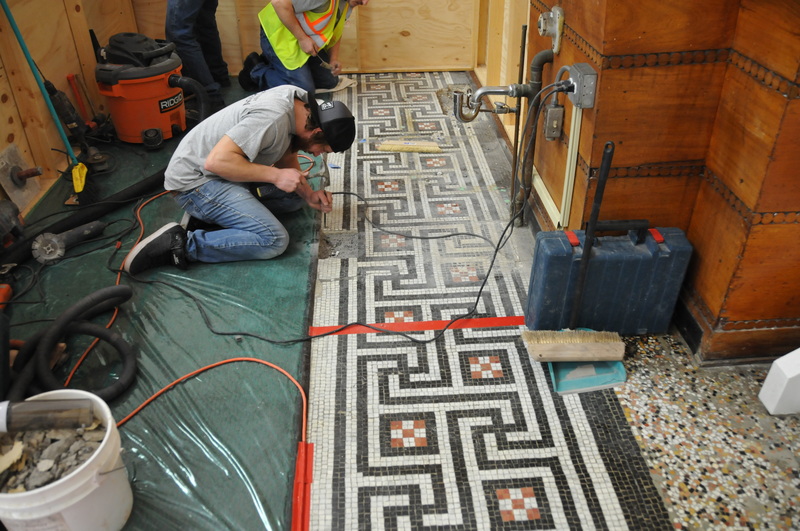 We remove fractured marble mosaic and marble/grout fragments, installed new custom-blended bedding grout and replaced fractured units.